Cutting Room Floor is a series all about games which simply didn’t make the cut, one such game is Tattoo Assassins, by Data East. 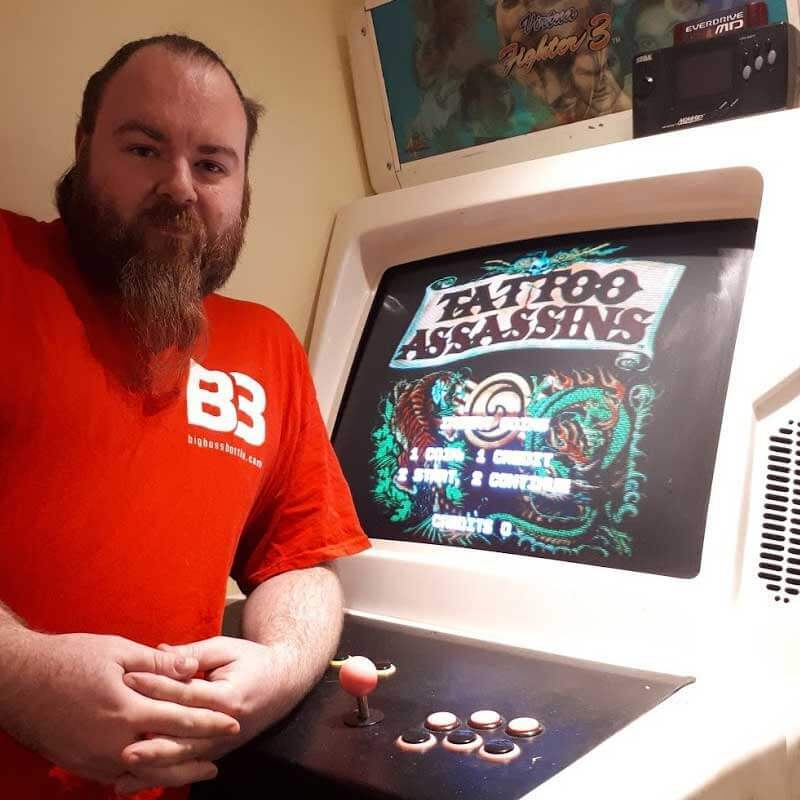 The 1994 arcade beat-’em-up, Tattoo Assassins is the first outing for our look into the history of games which didn’t quite make it through to release. Sometimes games are just not meant to be. Be it development woes or just being rubbish, many games never see the light of day or, if they do, they turn up many years later, either changed or just leaked out by the original devs wanting it to finally be seen by the masses. Today, I take a look at the (almost) 1994 arcade beat-’em-up, Tattoo Assassins, by Data East. On the surface, Tattoo Assassins looks like a straight-up Mortal Kombat clone. And there is a very good reason for that — that’s exactly what it is. But it takes that concept and cranks the silliness up to eleven. Data East’s Pinball division in Chicago created this game as a direct competitor to the Mortal Kombat series. ‘And so it came to pass, that Mullah Abba, spiritual leader of the order of colours, discovered the ancient secret of the mystic Ink of Ghize. The Ink of Ghize is an amorphous fluid organism can form into real objects for brief moments when applied to human bodies as tattoos. However, the ink is only compatible with those of a certain unusual genetic makeup, those known as hosts. The ink can cause bizarre mutations in those who prove unsuitable… Among the color guard, only Koldan was a suitable host. Thus believing himself superior to all mankind, Koldan stole the secret of the ink. His goal is to create an army of mutants and enslave the human race. Mullah Abba commanded the nine remaining color guards to find new hosts for the Ink of Ghize, one of whom might be powerful enough to defeat Koldan. Nine hosts were found. Each received magnificent chest and arm tattoos, plus a magical morph tattoo on their palm. Yet Koldans power had grown stronger. His consciousness possessed the assassins. He would use them to find the remaining ink for himself! But all was not lost, for Mullah Abba discovered the strange power of the mysterious tattooed woman, Lyla Blue. By using Lyla as a channel, Mullah Abba has the power to allow you to possess any one assassin. Choose! Now, you must defeat each of the other assassins. Use your tattoos as weapons. Earn new tattoos. Destroy the mutants. Find Koldan and defeat the mutants — If you can! This game contains 2196 fatalities!’ — Tattoo Assassin cut sequence. Phew, we got there in the end, and yes, I told you you would have a choice of ways to vanquish your foes. That story, ladies and gentlemen, came from the same mind that brought you Back to the Future: Bob Gale. 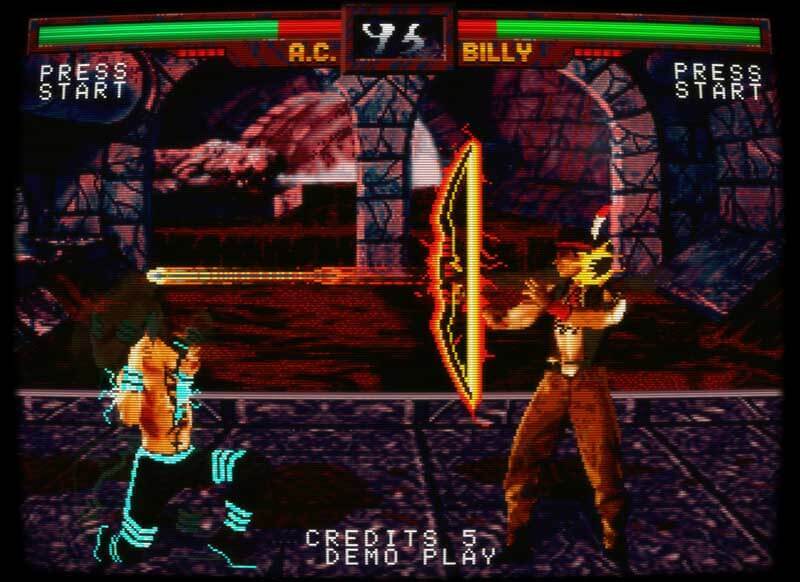 Using Digitised sprites just like Mortal Kombat, you take control of one of the nine titular assassins — chosen on a select screen that is the back of the aforementioned Lyla Blue — and fight your way through the other eight characters, followed by three sub bosses, then the main boss, Koldan. So far, so much the same. Generally, the game plays much as you would expect, as well: two rounds, with the second ending in the proclamation of ‘No Mercy’ where you get to perform a finishing move (of which you will have a lot of choice, as there are obviously quite a few). Its slated release in 1994 would have put it in arcades just after Mortal Kombat 2. It took some of the rumour and myths of the series and made them real in the most bizarre ways possible. It included the often rumoured nudalities (but with hands covering the important bits) and in fact had animalities before Mortal Kombat, taking on the form of your tattoo. Quite a few are your standard fatalities, but many others are just completely random, such as turning your opponent into Whistler’s mother; spawning a two-headed, purple dinosaur; being crushed by a huge burger (a nod to the Data East game, Burgertime); or being run over by none other than a Delorean. 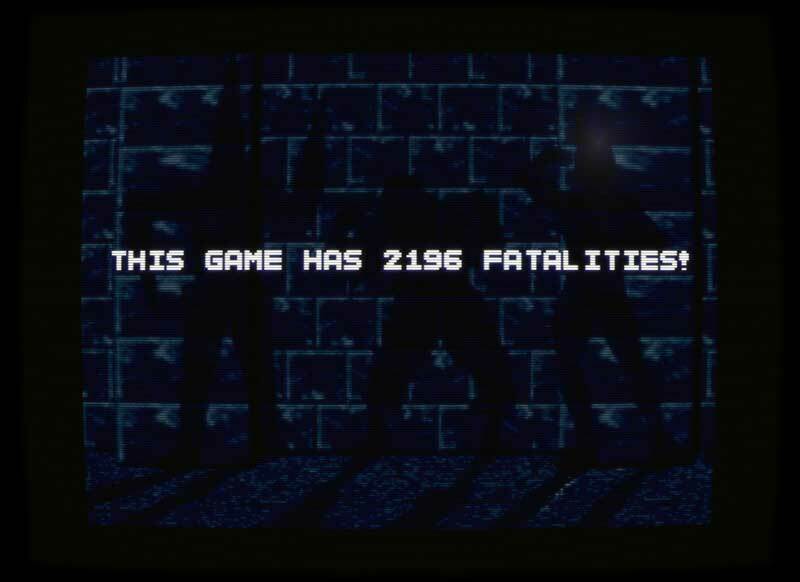 Many characters share a lot of the fatalities, leading to that number being artificially inflated. Special moves are also a combo of your standard projectiles and such, but include farts and explosive diarrhoea. It’s all rather odd. Odd is the byword of the game, with the assassins themselves being a bunch of complete weirdos. From an ice skater based on a real-life ice skater who was attacked, even down to her backstory, and an Irish rock guitarist, to a man who has the power to control electricity called —I kid you not — A.C.Current. Graphically, it’s a bit rough around the edges. 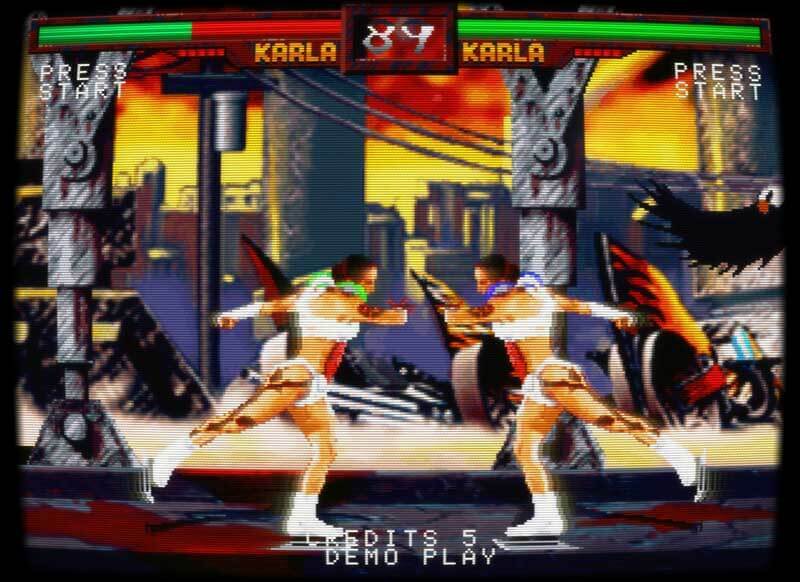 While using the style popularised by Mortal Kombat, it’s nowhere near as fluid and feels very clunky to play — one of the many complaints that lead testers to be the main reason this game never saw the light of day outside the twenty-four or so test cabinets that were created and put out in a test market and shows. Most of these have been destroyed, but a few might still be out in the wild. Laggy controls, no innovation and the complete lack of taste led to Tattoo Assassins’ non-release. The game, however, is pretty much complete, with the ROM being fully playable in Mame for many years now, so if you feel the need to check it out, you totally can. It’s fun for half an hour checking out the random fatalities, but there is not much to it beyond that.